Gas Interconnection Poland-Lithuania (GIPL) is a proposed cross-border natural gas pipeline that will connect gas transmission systems of Poland and Lithuania. The project is being developed by Polish and Lithuanian transmission system operators Gaz-System and AB Amber Grid, respectively. 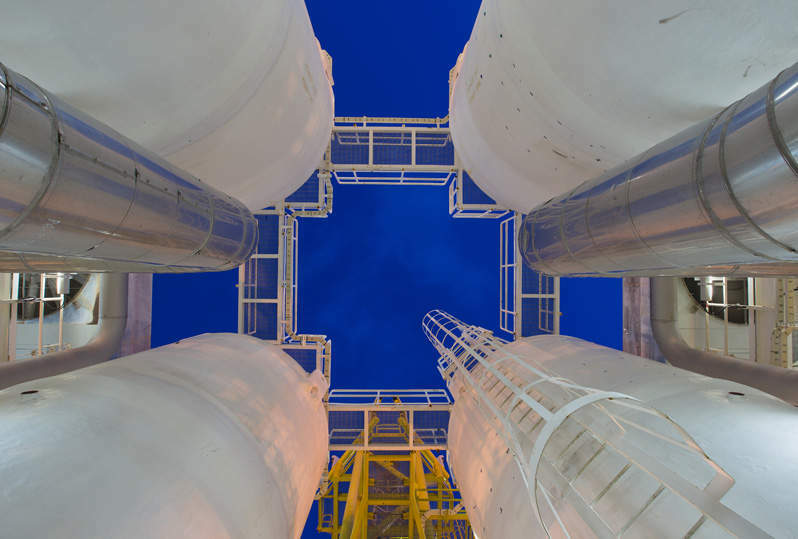 Planned to integrate the isolated gas markets of the Baltic States into the EU gas grid, the pipeline project is part of the Baltic Energy Market Interconnection Plan initiative (BEMIP). An agreement was reached between the governments of Poland, Lithuania, Latvia, Estonia and the European Commission for construction of the GIPL pipeline by December 2019. Engineering design work is expected to be completed by 2017 prior to the start of the construction, with operations scheduled to begin in 2020. 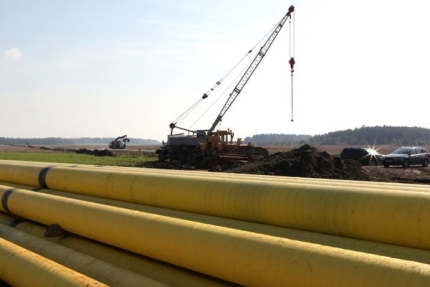 To be constructed at a cost of €558m ($600m), GIPL will be the first gas pipeline to connect Lithuania and Poland and the first gas interconnector between Continental Europe and the Eastern Baltic Sea region. "The bi-directional pipeline will have a capacity to deliver 2.4bcm of gas a year from Poland to Lithuania and 1.0bcm of gas a year from Lithuania to Poland." The 700mm diameter pipeline will be 534km-long, with 357km lying in Poland and the remaining 177km in Lithuania. The project will include the construction of the pipeline, and construction or modification of compressor stations, metering station and pressure reduction point. The project is planned to be constructed in two stages. Stage one will comprise a pipeline connecting Rembelszczyzna in Poland to Jauniunai in Lithuania. The capacity of the pipeline for the first stage will be 2.3 billion cubic metres a year (bcm/y) with maximum operating pressure of 8.4MPa on the Polish side and 5.4MPa on the Lithuanian end. Stage two involves a potential capacity expansion to 4.5bcm/y and addition of two compression stations and gas nodes. The planned route for the pipeline begins at Rembelszczyzna gas compressor station located in Warsaw, Poland, before traversing to Jauniunai gas compressor station situated near Vilnius in Lithuania. The bi-directional pipeline will have a capacity to deliver 2.4bcm of gas a year from Poland to Lithuania and 1.0bcm of gas a year from Lithuania to Poland. The total construction cost of the project is estimated to be €558m ($600m), which will be jointly funded by the Baltic States, private investment and the European Commission’s grant under the Connecting Europe Facility (CEF) initiative. The commission has already funded initial efforts on the project by providing a €10m ($10.75m) grant for feasibility studies and another €295m ($317.2m) for further works. In September 2015, representatives from Estonia, Latvia, Lithuania and Poland, the Commission, AB Amber Grid and Gaz-System finalised a financing plan for the pipeline. A tripartite agreement was signed between AB Amber Grid, Gaz-System and EU’s Innovation Network Executive Agency (INEA) in October 2015 for receiving a financial aid of €295.4m ($317.6m), out of which €55m ($59m) was allocated to AB Amber Grid and the remaining €240.3m ($258.4m) to Gaz-System. AB Lietuvos Dujos, Lithuania’s primary natural gas company, assisted Gaz-System in preparing an economic analysis of the proposed pipeline. Documentation of the analysis was compiled by Ernst & Young Business Advisory, in accordance with its agreement with AB Lietuvos Dujos and Gaz-System. "Interconnection with a vast supply market will increase the security of gas supply and also improve socio-economic conditions in the regions." Feasibility study report on the project was prepared by ILF Consulting Engineers Polska in collaboration with Ernst & Young in May 2013. The project is planned to end the isolation of the Baltic region as Lithuania, Latvia and Estonia are currently not connected to the EU gas system and, as such, form an isolated energy market. By providing access to various gas supply opportunities available in European gas markets, the pipeline will reduce the dependence of the Baltic States on Russia as the sole natural gas supplier. Interconnection with a vast supply market will increase the security of gas supply and also improve socio-economic conditions in the regions.